Eighty-five percent of the reasons for failure are deficiencies in the systems and process rather than the employee. The role of management is to change the process rather than badgering individuals to do better. At Ergoweb, we believe that good ergonomics plays a key role in corporate sustainability. 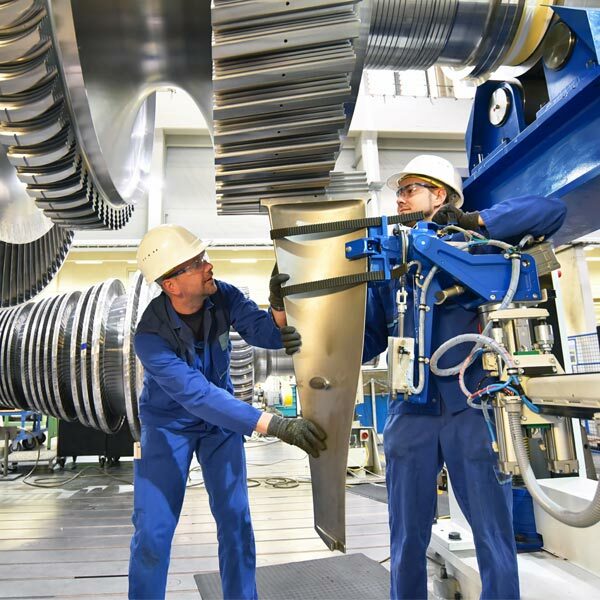 As you evaluate your company’s overall ergonomics challenges and goals, it is important to look for a solution that provides the necessary tools that not only reduces employee injuries and risk, but also delivers a comprehensive and sustainable process management system that affects all metrics within your organization. 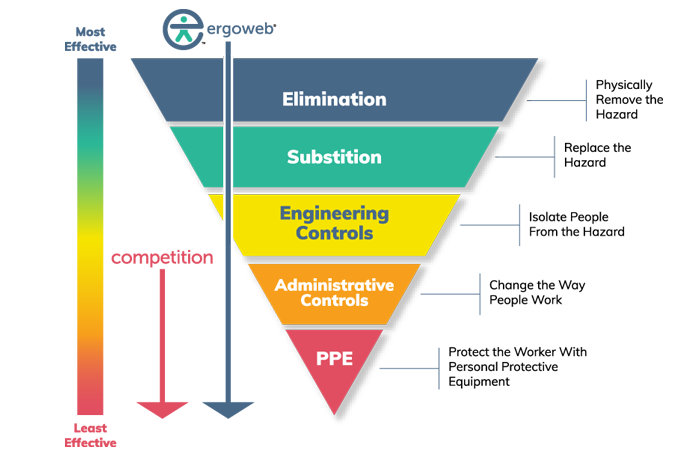 Our Ergoweb Enterprise™ cloud-based solution includes extensive features that enable you to manage your workforce through measurement-based strategies that focus on creating a comprehensive and effective ergonomics program and helps you comply with standards such as the ISO 45001 health and safety management systems. We make it easy by guiding you through a step-by-step 5-stage process that supports your ergonomics goals and helps to improve your organizational metrics. See how we do this by referencing the graphic on this page. Our objective is to ensure that we give you the tools that will ultimately improve your employees’ ability to perform at their best. This enables you to create an environment with less injuries, increased productivity, and deliver a higher quality product to your customers. 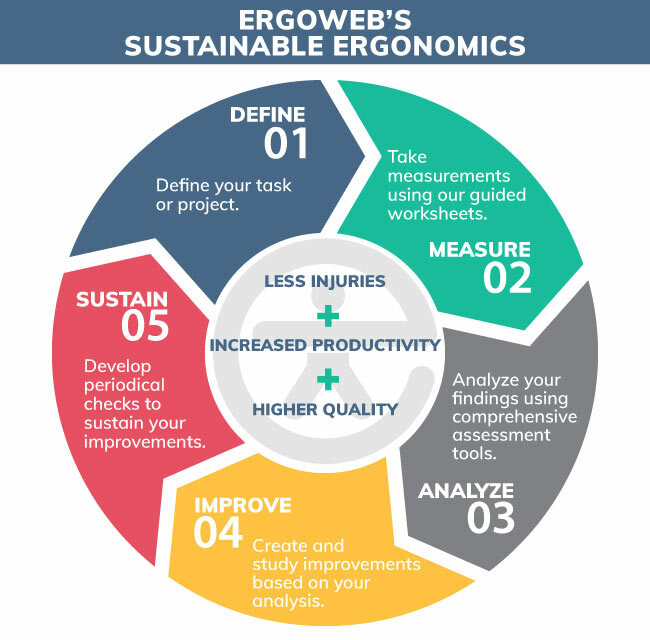 While most offer a single assessment method to evaluate ergonomics risks, our Ergoweb Enterprise™ software solution now includes sixteen (16) different evidence based ergonomics assessment tools. Our goal is to provide you a comprehensive and proven ergonomics platform that exceeds your health & safety goals and standards. Don’t see your favorite assessment tool? Don’t worry. Our configurable Ergoweb Enterprise solution gives you the option to integrate your own. * New! Recently added in 2018. We don’t stop at providing the most comprehensive assessment methods in the industry. When we look at controlling exposures to occupational hazards, we look to the NIOSH Hierarchy of Controls methodology. While the majority of our competition only focuses on injuries, we approach an ergonomics challenge by giving you a comprehensive injury management solution and help you identify, analyze and improve the root cause. Our goal is to generate value across multiple business metrics by delivering sustainable ergonomics solutions that not only reduces your employee risk, but also increases your productivity and produces a higher quality product.